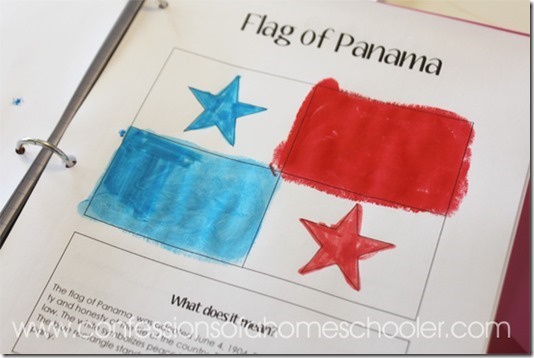 Good morning and welcome to our Expedition Earth world geography curriculum where we’re learning all about Panama! 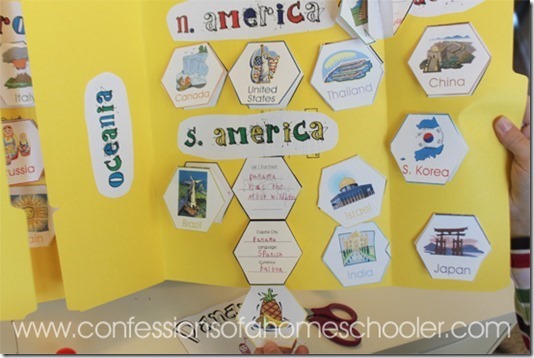 I hope you join in with us because we’re having so much fun with our world geography studies! 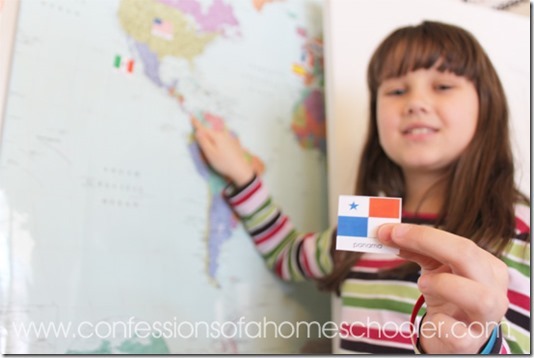 Panama has the lowest population in Central America, but is the most industrialized country in Central America. It also has the most diversified wildlife of all of the countries in the region and is home to north as well as south American species. 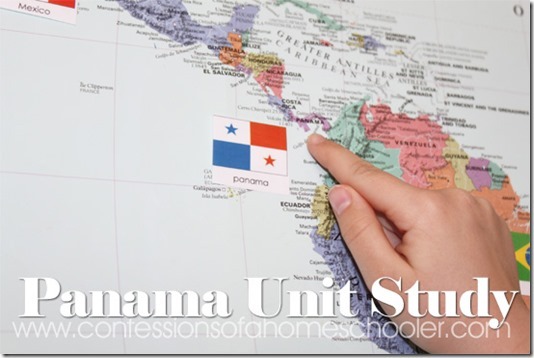 Panama is only 80 kilometers across at its narrowest distance, and separates the Atlantic from the Pacific Ocean. That makes it one of the only places in the world where you can see the sun rise in the Pacific and set in the Atlantic! 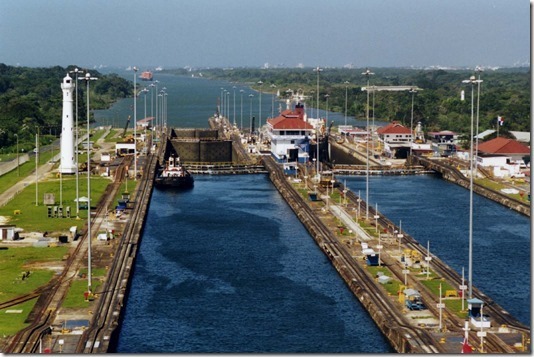 Due to it’s ideal location ships pay quite a price to travel through the Panama Canal. 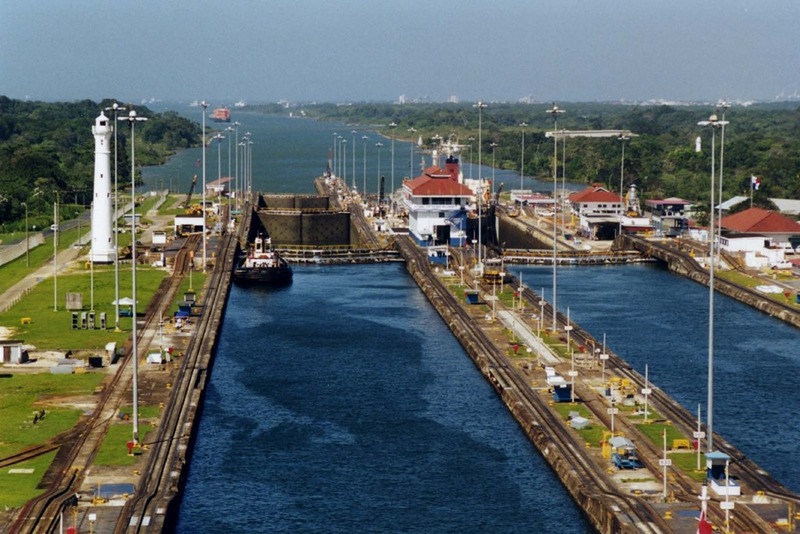 Did you know the average toll for a ship to pass through the Panama Canal is $56,000! The highest Canal toll was $141,344.91 charged to a cruise shop called the Crown Princess. The lowest toll ever paid was $0.36 by Richard Halliburton who swam through the Panama Canal in 1928. Here are some of the activities we did this week along with things I managed to capture on film! Stamped our passports and moved on to Venezuela! We started off by locating Panama, and it’s capital city on our wall map. Then we added a flag to it to show that we’ve been there! Of course we learned how to greet one another in Spanish, and added the word card to our wall for review and easy reference. Next we learned some interesting facts about Panama and did a few mapping activities to help learn how to read the coordinates. We learned all about the flag of Panama, and what the colors and symbols mean. 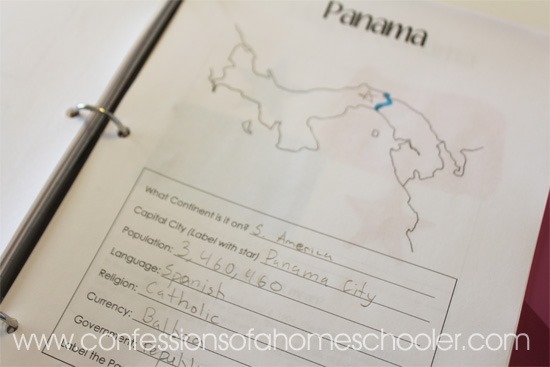 We learned about some basic facts and landmarks found in Panama, including population, religion, language, currency, etc..
We watched this fun video of a ship passing through the Panama Canal. It’s really cool to see how each of the locking chambers work. The full transit time was about 10 hours, but the video shows it to you in about 5 minutes. 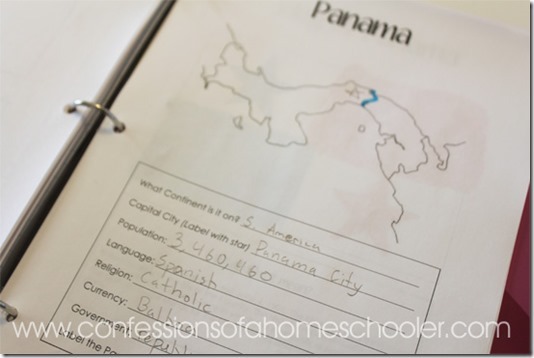 We filled in our Panama mini-book and added it to the world lapbook that we’re creating. And of course we made a fun post card to commemorate our visit and fill in the folks “back home” on our visit! And that’s it for our Panama journey! 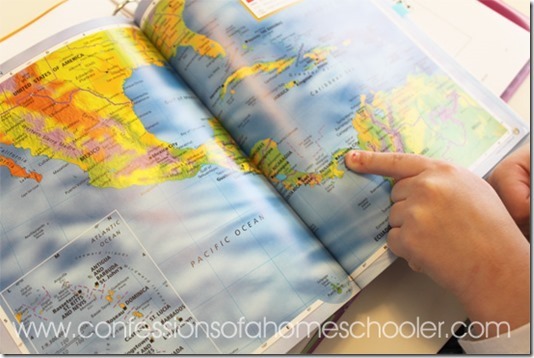 Click here if you’d like to follow along with our Expedition Earth World Geography Curriculum Journey! I’m thinking about doing Expedition Earth next year with a 5th grader, 3rd grader, 1st grader, and preschool tag-along. 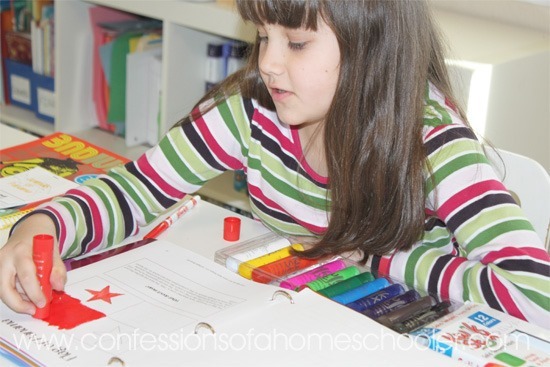 I see on the sample that you do it 5 days per week. How long do you spend on it each day? Thanks. 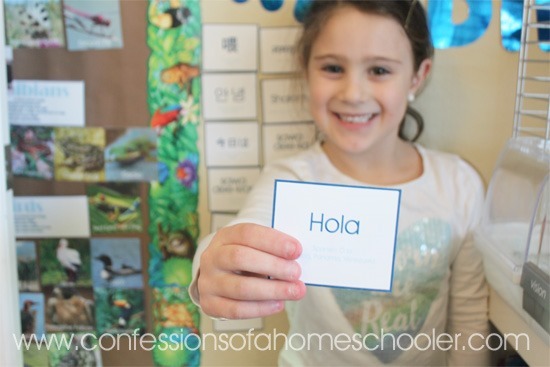 Love that you did a Panama unit. I have purchased before from you. A couple of years ago. I live in Panama. I do not have the unit but am pleased you made one. There are many interesting things in Panama. The Biomuseum is great and the people that did the feasibility study with Frank Gehry are from New Orleans. I have a question. I always thought that Central America was part of the continent of North America. I googled it and found out that I was right. In the past, Panama was part of Colombia and was considered part of South America, but then they gained their independence and is now part of North America. I was just wondering why you included it with South America and not North America. Thanks! For this unit, Panama links Central America and South America, but since I didn’t do anything in Central America I just left it as South America. 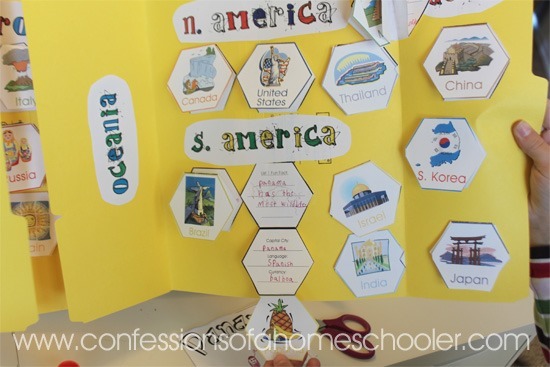 You can tell your students it’s actually N. America if you prefer.